The recent rain and cloud cover has it feeling like fall in North Texas. 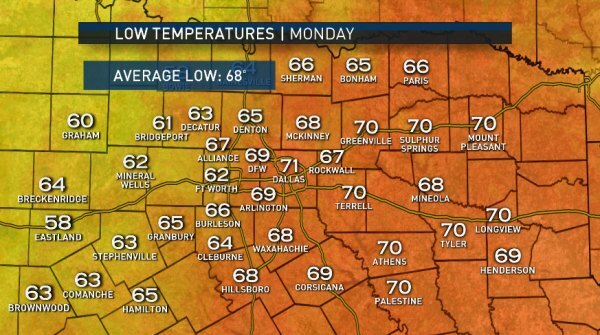 The high temperature on Sunday at D/FW Airport was 75 degrees. That is 15 degrees cooler than our normal high on 90. Take a look at the low temperatures Monday morning. Some North Texas cities were in the 60s and 50s. All week temperatures will be cooler than normal with daily chances for rain. 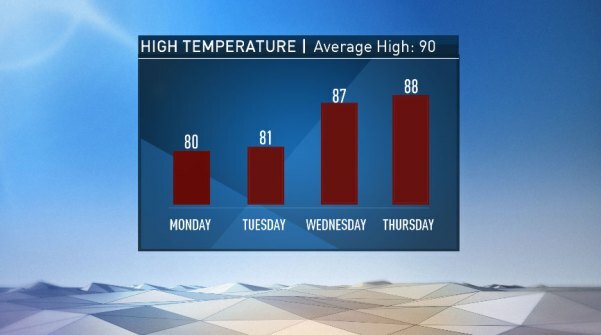 Monday and Tuesday the highs will be in the low 80s. This taste of fall may be short lived. 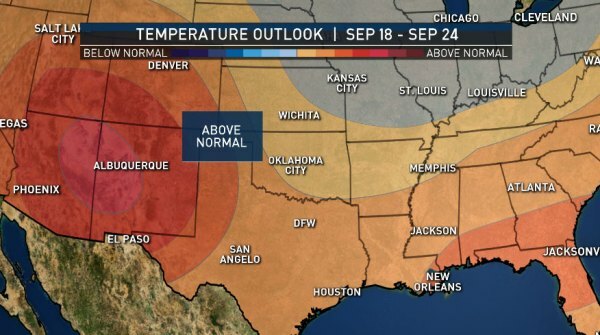 Looking ahead towards the second half of September the Climate Prediction Center has above normal temperatures returning to North Texas. This is the long range forecast from Sept. 18-24.